Welcome to the Department of Commerce and Consumer Affairs identity theft information webpage. Identity theft doesn’t have to be inevitable. There are things that you can do to reduce the chances that you become a victim and to minimize the damage should it happen to you. If you’re a business owner, and you would like more information on how the Hawaii’s identity theft laws will affect your business, read our Business Briefing. Identity theft is a serious crime. It’s happening more and more frequently around the world, across the nation, and here in Hawaii. It’s not a mere inconvenience. People whose identities have been stolen can spend months or years – and their hard-earned money – cleaning up the mess thieves have made of their good name and credit record. In the meantime, victims may lose opportunities for jobs, loans, education, housing or cars, or even get arrested for crimes they didn’t commit. In the event of a security breach, if your personal information has been lost or stolen, you may be notified directly by the breached business or government entity, or, in the case of large security breaches, the notification may be via press releases and news media. If you’re concerned about identity theft, those reported mega-data breaches, or someone gaining access to your credit report without your permission, you might consider placing a credit freeze on your report. A security freeze means that your file cannot be shared with potential creditors. A security freeze can help prevent identity theft. Most businesses will not open credit accounts without first checking a consumer’s credit history. If your credit files are frozen, even someone who has your name and Social Security number would probably not be able to obtain credit in your name. Act 22 of the 2018 Legislative Session recently amended the Hawaii law governing security freezes to allow Hawaii residents, including children under 16, to request a security freeze without being charged a fee. Additionally, effective in September 2018, a new federal law, the Economic Growth, Regulatory Relief, and Consumer Act, will extend the right to obtain a free credit freeze to the rest of the country. To place a security freeze, consumers and guardians of protected consumers, must request one from each of the credit reporting agencies – Equifax, Experian, and TransUnion. The request can be made by mail, online, and telephone. You can place a security freeze by contacting each of the credit reporting agencies at the websites, phone numbers, and mailing addresses below. * When requesting a placement, temporary lift, or removal of a security freeze by mail, please include the following information with your request: 1) Your complete name, including any suffix such as Jr. or Sr., 2) Your complete current mailing address and previous mailing addresses the past two years, 3) Social Security number, 4) date of birth, and 5) a copy of your government issued identification card, such as a driver license, state ID card, etc. Check with each credit reporting agency for any additional documents required. After receiving your credit freeze request, each credit bureau will send you a confirmation letter containing a unique PIN (personal identification number) or password. Keep the PIN or password in a safe place. You will need it if you choose to lift the freeze. • your report can be released to your existing creditors or to debt collectors acting on their behalf. • government agencies may have access in response to a court or administrative order, a subpoena, or a search warrant. A freeze remains in place until you ask the credit reporting agency to temporary lift it or remove it all together. When you placed a security freeze on your credit report, you were provided with a personal identification number (PIN). Use this PIN when you request a consumer reporting agency to temporary lift the security freeze by mail, telephone, or online. A credit freeze locks down your credit. 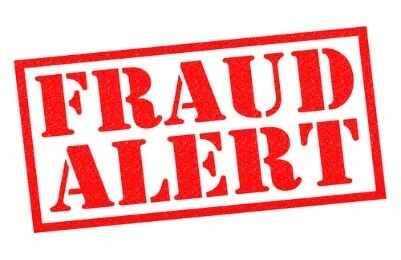 A fraud alert allows creditors to get a copy of your credit report as long as they take steps to verify your identity. Once you have placed a fraud alerton your credit report, you will be entitled to a free copy of your credit report. The credit reporting companies will send you a letter telling you how to order your free credit report. Review your credit reports carefully for suspicious activity or charges. Be alert! 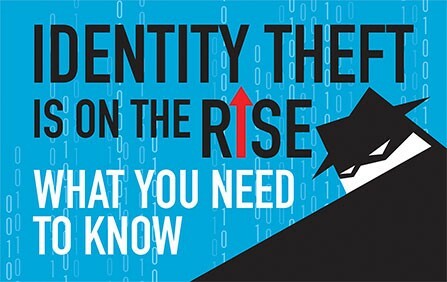 The first year following a security breach is when your stolen personal information is most likely to be used by ID thieves. How do I place a fraud alert on my credit reports? To place a fraud alert on your credit reports, ask one of the three credit reporting companies to put a fraud alert on your credit file. Confirm that the company you called will contact the other two companies. Don’t forget to mark your calendar because the initial fraud alert stays on your report for 90 days. You can renew it after 90 days. How do I get a free copy of my credit reports? All consumers can obtain a free annual credit report from each of the major credit reporting agencies, regardless of whether they have been victims of identity theft. Call 1-877-322-8228, or request one online.